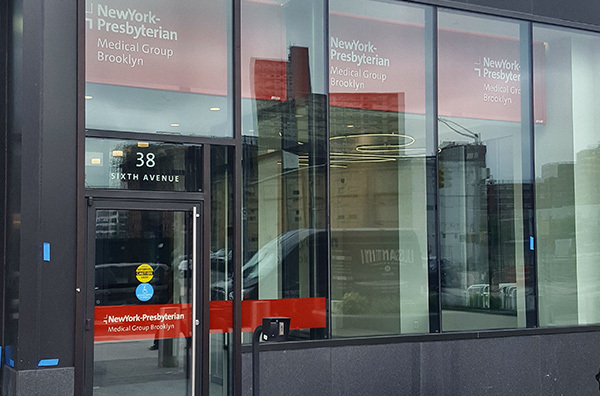 NewYork-Presbyterian Medical Group Brooklyn’s new Downtown Brooklyn location offers the highest quality health care in a brand new modern space, conveniently located steps from one of Brooklyn’s busiest transportation hubs at Atlantic Terminal. We offer a team of specialists – including experts from Weill Cornell Medicine and NewYork-Presbyterian Brooklyn Methodist Hospital – and provide seamless access to the resources and services of NYP Brooklyn Methodist Hospital. We also offer procedures likes X-rays and blood drawing right here on site to help make your appointment as convenient and efficient as possible.